Negotiations resumed Tuesday night between McHenry teachers and the District 156 school board, but school is already canceled for Wednesday. 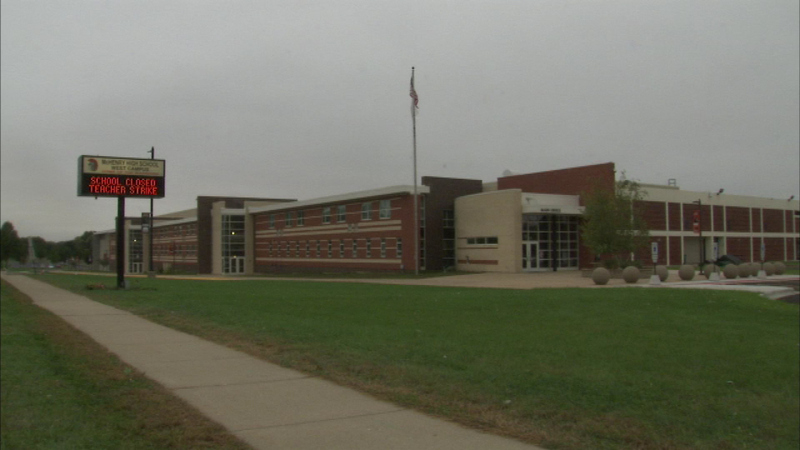 MCHENRY, Ill. (WLS) -- Negotiations resumed Tuesday night between McHenry teachers and the District 156 school board, but school is already canceled for a fifth day on Wednesday. School officials said that because any tentative contracts must be approved by the teacher's association before school can resume, classes were canceled preemptively. A late, emergency negotiating meeting took place Monday night following a board meeting, but no deal was reached on salary and health benefits. If the football team misses more practices, they could be forced to cancel their homecoming game this weekend.